The Manhattan College Film Society offers students an intellectual environment for watching and discussing films on a regular basis. 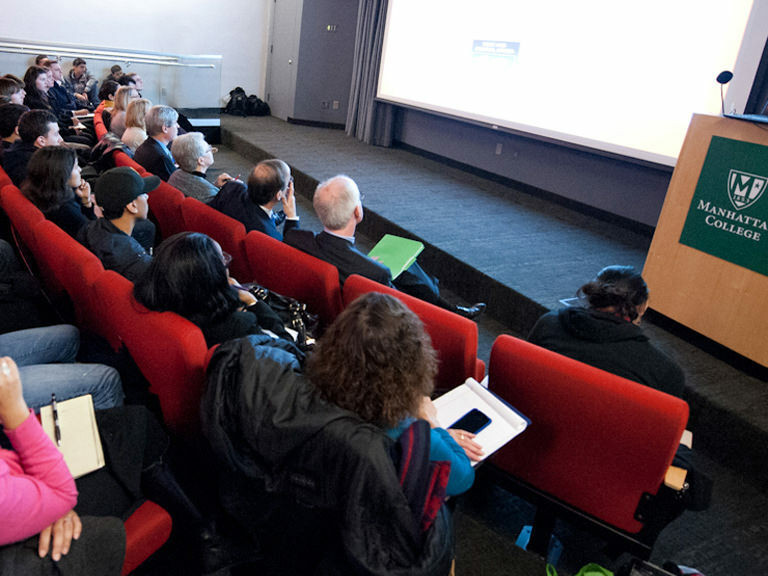 Many students present films themselves, while other screenings are led by faculty. The Society plans regular field trips that broaden students' knowledge of film. Past trips include the Museum of the Moving Image in Queens and the Studio Museum in Harlem. The Film Society also brings individuals who work in the industry to campus. The Film Society is open to all students. To join, simply attend an upcoming event or contact the faculty advisor Margaret Toth, Ph.D. at margaret.toth@manhattan.edu.